I do feel very lucky. Seven years ago I was a single mum on benefits, struggling to find a job. I couldn’t find one so I started… not only my own business, but a whole new type of business. 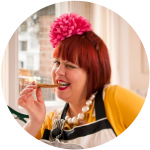 It was risky and sometimes frightening starting a restaurant in my living room and blogging about it. I haven’t really let people know about the pressure I’ve been under at times, legally and in every other way, to keep going. Hell, the crap I’ve been through. And all I was ever trying to do is earn a living. The borough next to where I live, Brent, has the highest diabetes in the UK – 23,000 people at the last count. This is partly because it has a large Indian sub-continent community where overweight starts at a BMI of 23. It is also because of inner city poverty, of which a large proportion are single parents and their children. It seems counter-intuitive but Diabetes 2 is inextricably linked with poverty. So in the last six years my life has changed for the better. It’s still tough to be freelance, especially in an economic climate where you have to stand your ground to be paid for your work. You never really relax when you have your own business: no paid holidays, no sickness pay, the lack of security, the feeling that you are only as good as your last blog post, recipe, dinner or book. But this is not a whinge fest. I am celebrating. 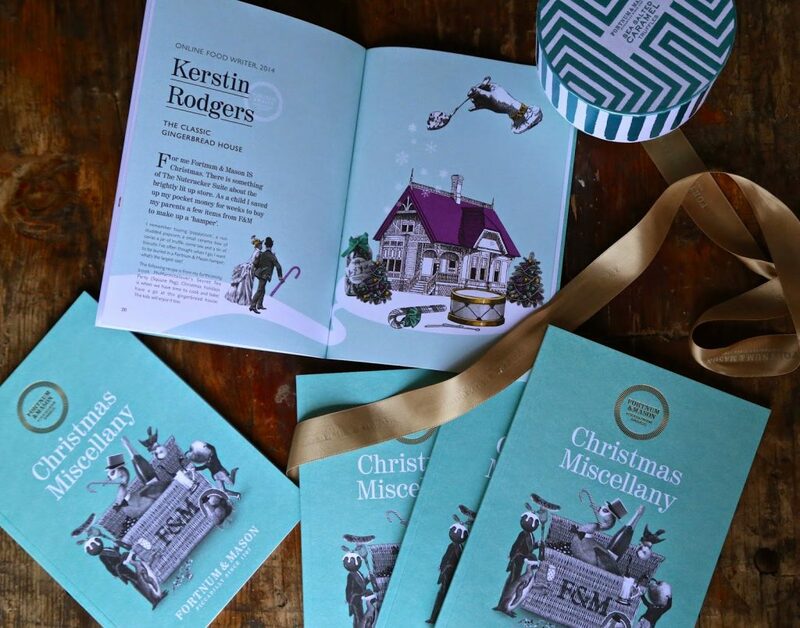 The book features my classic gingerbread house recipe from my new book MsMarmitelover’s Secret Tea Party. Even if I say it myself, this is a perfect Christmas present, have you ordered yours yet? I'm really in awe of you. I've had some tough times myself over the past few years but I didn't have a child to support on top of that. I was on benefits for a bit but had to go off them in order to do internships. The only way I could do them otherwise was to disclose I was on benefits to do an official "job trial"; I feared the stigma would scupper my chances of a job offer. There's no flexibility in the system to arrange your own work experience. In January I start my first full-time, permanent job since arriving here over 7 years ago. Previously it was all temporary contracts, 1 week notice (or no notice but what can you do when you have no money or power?). The financial crisis was a blessing in disguise though. I've taken risks I might not have otherwise and found a career I really love. Thank you for taking about this stuff. It's still hard to but it needs to happen. I'm in awe of all single parents, which is why I dedicated my first book to them. They are the heroes but so often treated as the problem. I totally agree on the lack of flexibility in the system. When the newspapers go on about Next employing Polish workers, and why don't British people take those jobs I feel like screaming. BECAUSE they don't want a temporary job which means they will have to go through that terrible delayed period of waiting to get benefits again which is so stressful. The people on question time and any questions have obviously never been on benefits. They don't know what they are talking about. Most people aren't lazy, they are just beaten. I completely agree with your observation that when you are poor, the only thing you can do is eat. I have spent the last year trying to build two businesses and my income has been practically non existent (at one point 75% of my take home went on rent.) Cooking and blogging about it, even if everything I used was from the reduced isle, was my singular form of pleasure. I felt it was OK to spend money on food, because you have to eat right? I'm glad to hear things have got better, I'm still waiting for it to happen to me, but I live in hope. Congratulations! I am so happy for you. Please know that your blog is touching a life here in Canada, too. Your honesty is a balm for others, and even though we are all in different situations, we can relate as women and nurturers, for in that way our lives are very much the same! We get it – the pleasure and the pain of using food as our 'medicine'. Kudos to you for sharing, and a high-five to you for your successes! I love to read your blog! So proud of you, Kerstin!! You've come a long, long way from those early days in Paris – I remember our very first meeting with our small girls who are now young women already…Fortnum and Masons no less!!! You are indeed an inspiration. Hugs. I didn't realise that you had it so tough….and I know that feeling of being a freelancer. I was for quite a few years too. I didn't realise that life had been so tough for you but congratulations !For being such a good writer …your blog is one of my " must read immediately it's posted "blogs, for getting yourself where you are today through hard work and brilliant ideas……and for being such a good role model for your daughter. Great stuff K. MsM is in my Fav Toolbar. Your writing and photos are a real tonic, good on you and thank you. Thank you. Poor you but well done for getting it under control.